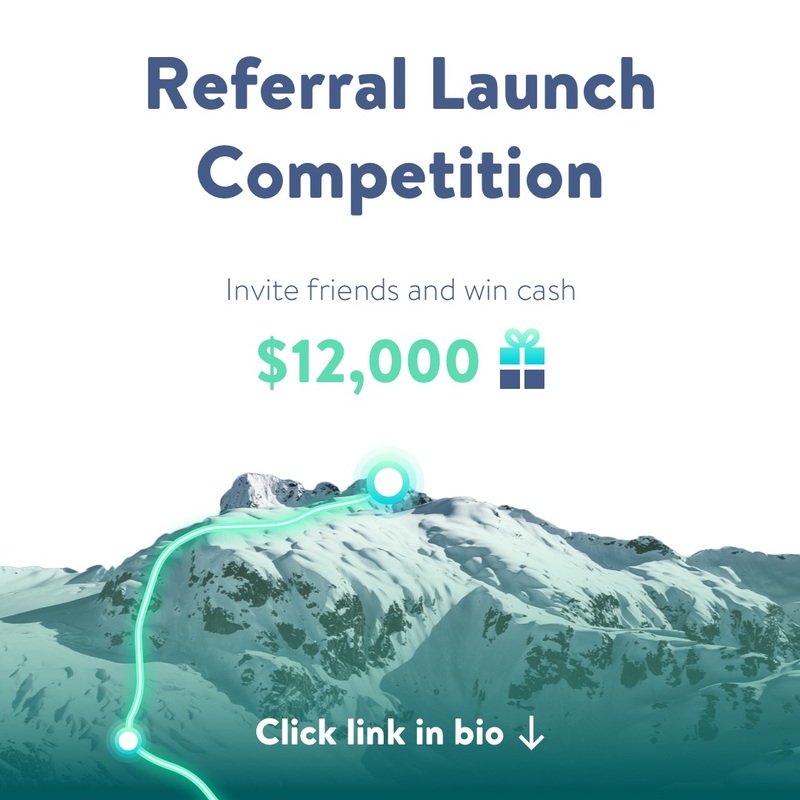 Welcome to the Snowball Referral Launch Competition! Are you a powerhouse influencer who can reach thousands of people at a click of a button? Then we've got an easy-money opportunity for you! We are giving rewards to the best-performing referrers. Click on the button at the bottom of this page to sign up and join our invite-only waiting list. Start sharing your referral link with your friends! For every friend that joins using your link, you’ll jump ahead in line. Check your referral dashboard to keep track of how many of your friends have joined the waiting list along, as well as your current ranking on the waiting list. When Snowball is available in your area, sign up and make a deposit to activate your account. The top 10 influencers who've referred the most active users to the waiting list after Snowball’s launch will receive their respective rewards! If I live outside of the U.S. can I participate in the launch competition? Yes. We will launch in the U.S. first, but will expand globally as soon as possible. You can collect your rewards when the app becomes available in your area. 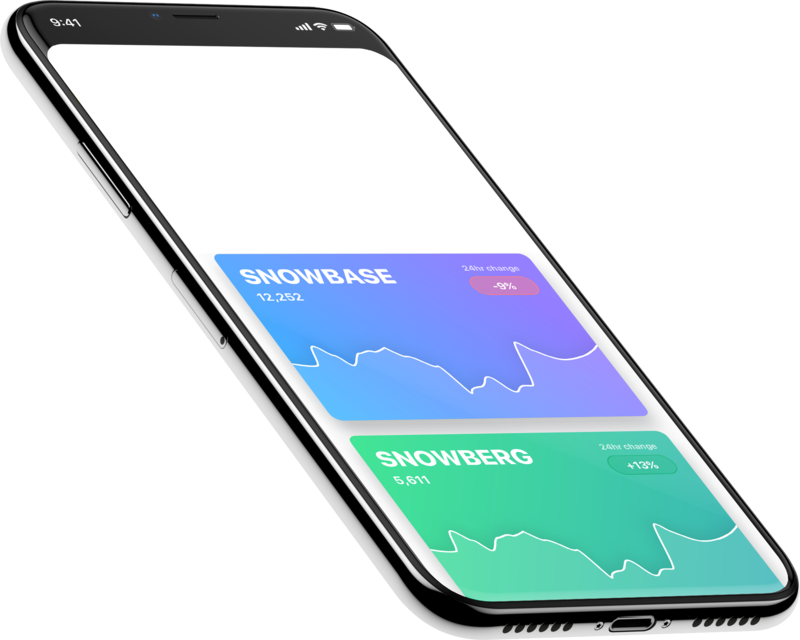 After the first month of Snowball’s launch in the App Store, we will tally the number of active users from each referrer and send the respective prizes as credit into the referrer’s active Snowball account within 30 days. Prior to receiving a reward, a competition KYC form, which will be emailed to the user, must be completed and returned. Can I withdraw my reward or use it in my Snowball? How do I see how many of my friends have joined the waiting list? When you return to secret.snowball.money, you should automatically see your referral dashboard. If you only see the sign-up page, enter the same email you originally used to join the waiting list and you will see your dashboard with your referral information. Am I in the top 10? Your referral dashboard will say how many people are in front of you, but you can also see the leaderboard at https://secret.snowball.money/referral-leaderboard or the button above to see how many people you need to refer to take a top spot. I lost my link. Where can I find it? By going back to your dashboard, you can always find your link, in addition to buttons to automatically share it on social media. 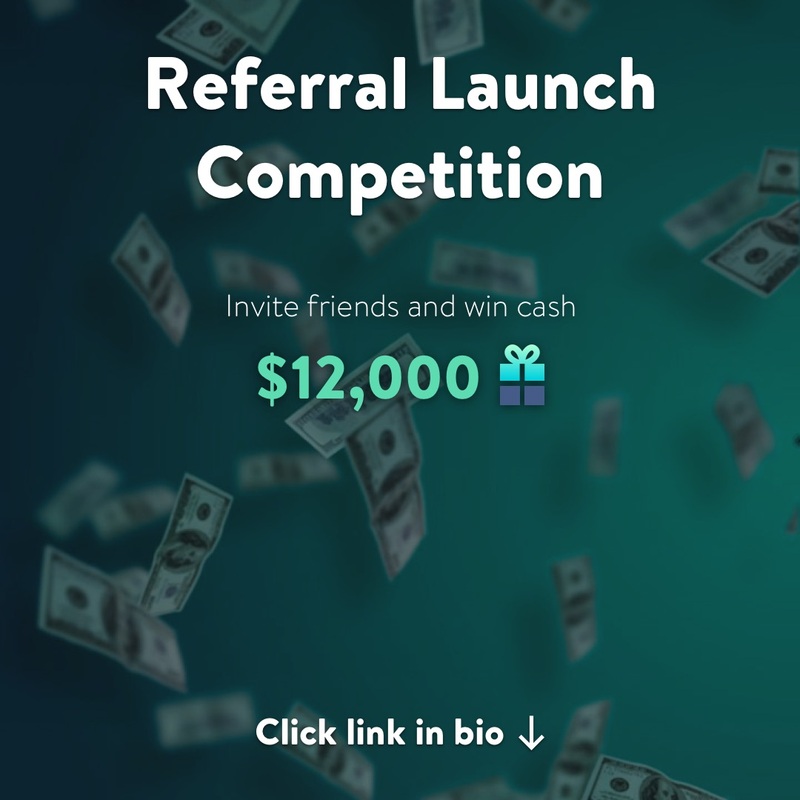 Who do I contact if I have any questions about the referral launch competition? Send an email to info@snowball.money and we'll get back to you as soon as possible! We will monitor people who try to cheat the system and reserve the right to disqualify such people from participating in the competition. Through the Program, you may earn $100 (or another advertised US Dollar amount) worth of credit to your Snowball account by referring the specified number of users (listed at www.snowball.money/referral-invites-rewards) who register (using your personal referral link) onto the waiting-list during the competition’s duration and create an approved Snowball Account when available in their area. This credit is called a Referral Reward. I UNDERSTAND AND AGREE THAT IN ORDER TO BE ELIGIBLE TO RECEIVE A REFERRAL REWARD, I MUST BE A RESIDENT OF A TERRITORY IN WHICH I MAY USE THE SNOWBALL PLATFORM AND HAVE SUCCESSFULLY GONE THROUGH THE KYC PROCESS TO CREATE AN APPROVED ACCOUNT. In order to create an approved Snowball account, users must meet certain eligibility requirements, provide support documentation, and reside in a location included in Snowball’s list of eligible jurisdictions. You may refer friends by sharing your personal referral link via email, text message, social media, websites, or printed referral codes. 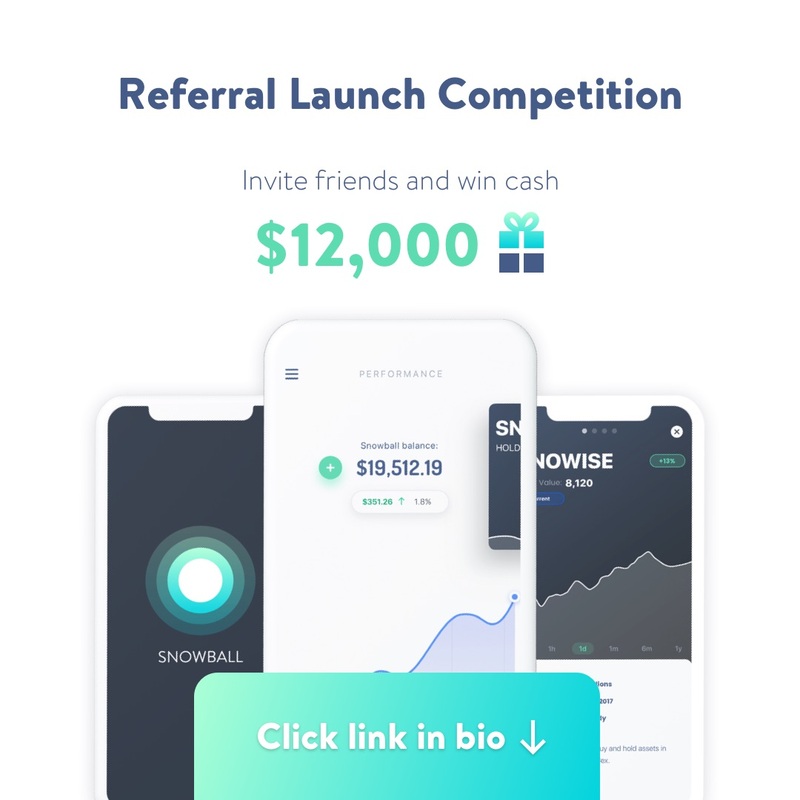 For each friend who registers on the Website using your personal referral link, and later creates an approved Snowball Account, you may earn a Referral Reward. Upon creating an approved Snowball account, you shall be credited with a “pending” Referral Reward (if applicable). Snowball agrees to pay applicable Referral Rewards, by crediting your Snowball Account, within 30 days of you claiming the applicable reward through the Snowball Platform. The applicable amount of credit will be determined at the time of payment. I acknowledge and agree that if I do not receive an approved Snowball account, I am not eligible to collect any “pending” Referral Reward. In addition, I acknowledge and agree that if a friend I refer does not receive an approved Snowball Account within the first 30 days of the platform’s availability on the app store, their referral will not count towards the number needed to receive a Referral Reward. I acknowledge and agree that I am solely responsible for all taxes arising from receipt, acceptance or use of my Referral Reward (including sales, income and property tax, if applicable). I acknowledge and agree that I may be required to complete an IRS Form W-9, which requires disclosure of my social security number, and an IRS Form 1099 reflecting the value of my Referral Reward will be issued to me as required by law. Snowball provides you with tools to share your referral code and link. Any communications that you do make in connection with referrals must be honest and accurate, and disclosure that you may receive a Referral Reward (OR ANOTHER US Dollar amount). As part of your participation in the Program, you understand and agree that you are responsible for making truthful and accurate statements in connection with any referrals, and can be held liable for any false or misleading statements you make. Any emails that you send under the Program must comply with federal CAN-SPAM Act requirements. Information about the CAN-SPAM Act is available at https://www.ftc.gov/tips-advice/business-center/guidance/can-spam-act-compliance-guide-business. You are solely responsible for complying with the requirements of this section, and Snowball will not be responsible for your failure to do so. Failure to comply with these requirements will result in immediate termination of your Program participation. In addition, you may be responsible for any resulting damages. Referral Rewards may only accrue for new users who are natural persons; there will be no Referral Rewards for users who have already registered on the waiting-list or created a Snowball Account. Each person may only ever earn one Referral Reward. Snowball reserves the right to refuse payment of Referral Rewards if (i) Snowball believes, in good faith, that a user has committed fraud, that a registration or referral is not legitimate, or that a user does not qualify for a Snowball Account; or (ii) an applicable legal authority determines that the Program violates any statute, regulation or other legal requirement. I understand that Snowball reserves the right to change or modify these Referral Terms, at Snowball’s sole discretion. Without limitation, Snowball may terminate the Program at any time; provided that, unless the Program is terminated due to the requirements of an applicable legal authority, Snowball will honor any pending Referral Rewards properly credited to your account prior to the termination of the Program. I understand that these Referral Terms may be amended by Snowball, with revised terms posted on the Website, emailed to me, or by any other means that Snowball may choose to adopt in the future. The method of notification for any changes to these Referral Terms shall be at Snowball’s sole discretion. All changes and modifications will be effective immediately upon posting or sending such notification to me via electronic means. I understand that my continued use of the Snowball Platform, accessing my Snowball Account or participating in the Snowball Service constitutes an act of acceptance with respect to any such changes or modifications that Snowball may make. If I do not agree to the terms in effect when I am accessing my Snowball Account, I must stop using the Snowball Platform. You acknowledge and agree that nothing herein authorizes you to act on behalf of Snowball and that nothing herein shall be construed to constitute or imply a joint venture, employer-employee relationship, partnership or association between you and Snowball. Copyright © 2019 Snowball Finance, Inc. All rights reserved. By submitting any personal data on this site you agree to Snowball Finance, Inc.